I love this video and now I have some new (to me) products to try. If you used them all, it lets me know they are really worth getting. Thanks! Nice you were able to use so many. Can't wait to see what new stuff you will be bringing us. I like when you have videos about the different products. It makes it easier to see the results right away. I will definitely have to try some of the make up you recommend here. Oh wow what a great amount of products do you managed to get through, I love seeing what people have used up and if they would rebuy! Sounds like a great list of products! My kiddos would love playing with all those empty containers. All of these products seem so great! I love finding new moisturizers and creams! Thanks for the great tips! That's quite a collection of empties you've tried. I've never saved my empty containers before but I might start because this would be fun to do. And I sure do go through a lot of stuff. Wow, you have a lot of empties this month. You have a lot of cool products in this batch of empties. It's hard to know which products to buy at times without reading a good review of them. I often love reading Amazon reviews of products before I invest my money. So, thank you for the tips. Wow, you really did have quite the quantity of empties! It's great to hear the experiences and opinions on products like this and will look forward to hearing your reviews on the new products you have received. These are my absolute favorite kind of product reviews! if someone loves something enough to empty and entire bottle of it, it must be good! It takes me forever to finish some things, others pretty quick. I bet the shave cream smells great. What is incredible about your videos is that the results are visible right away.. No false ads.. Great work.. I haven't tried many of these products but I did try the EOS shave lotion and I loved it!!! It's a must have for me now!! Ohhhhh these are some awesome empties. I am currently LOVING the Instutit Radiance Cream and I have to admit I want to try more. Such awesome empties girl. Very informative video, loved it. The products look pretty interesting, I have not tried anything yet except the EOS. Will look out for them. These are great products and I love that you made a video too. Awesome. My skin is so sensitive so I am always looking for great products. The mere fact that you used up those products are reason enough to believe that they are good! I can't wait to see your new batch of products to try. Wow! Videos are really effective in showing something. This is a new product for me to try. 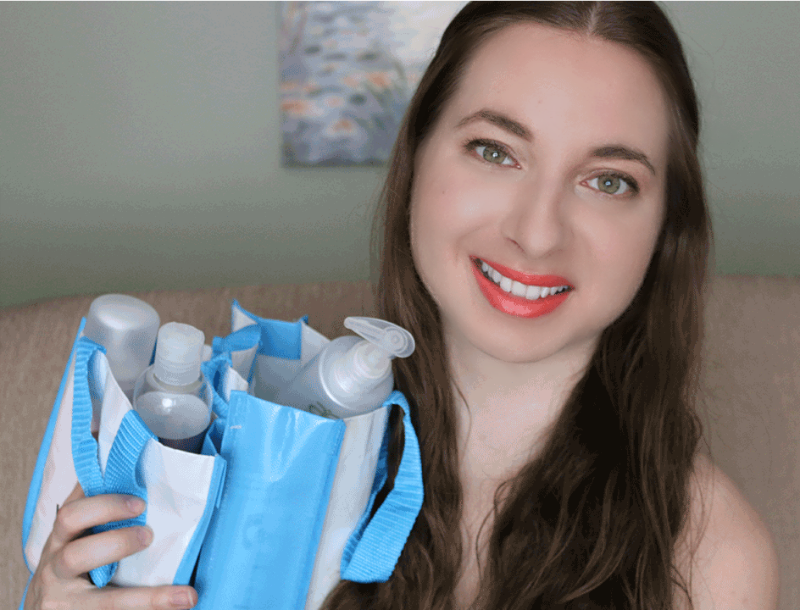 I LOOOOVE empties videos (and I'm not even a beauty product junkie!). There's just something about hearing what you thought of your products after using them that's intriguing! Oh my gosh....taking notes! I love trying out new products! I'm really curious to try the Laura Mercier powder. It takes me forever to finish a beauty product so I'll have to wait until I run out of what I have before I buy it. I have never used most of the ones you included in your video but I would love to try them. Oh, I LOVE that hand wash. I need to check some of these other products out! I want to try the Rapid eyebrow! I also love Laura Mercier cosmetic, it's a great brand. I love this video. It really helps me to decide on what I should get. Reviews are the best for me, it means that I don't have to go out and buy things that aren't going to be good for me. You have outdone yourself on your selection of beauty finds. I love how you organized the information as well. I didn't even know EOS had shaving cream! I must try it myself. I like your video and now am thinking of making a post aboit my empties too. I will check your favorites and maybe some might work with me. To be honest, most of the products that you have shared are new to me! So it is great to discover new products that I can try. I just hope that we have it here locally. I want to try the Rapid Eyebrow Enhancing Serum! These are some awesome empties.